Before you give in to the temptation to buy puppies, we want to shed light on the seriousness of such a decision. Dogs bring so much joy and comfort to our lives. It is essential to know some responsibilities come along with dog ownership. We have put together our top three things you should consider. Take a look and then contact us if you have more questions! Can you afford to have a dog? Purchasing a dog requires money. Okay, you know that already but sometimes we need to state the obvious. There are hidden costs like vet bills, food, hiring a professional trainer or dog walker are just a few to think about before you buy puppies. If you live in an apartment, you may be required to make a pet deposit on your lease or make monthly payments. What happens if your pup gets sick? Does your financial situation support pet medications or surgery? Will you purchase pet insurance to help with unforeseen circumstances? Before you buy puppies analyze your free time versus available time. This is really important because if you’re a frequent traveler, it will seriously affect the care of your new pup. For instance, who will take care of your dog? 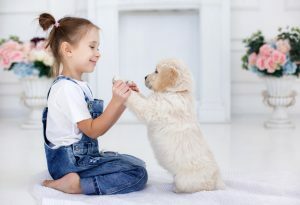 Will you have the opportunity to hire someone to care for your puppy? What about the option to have family members, with puppy patience and experience, care for your pup? You must consider your work and leisure schedule and how a pet fits comfortably in it. Do you or any of your family members have allergies? Although there is no such thing as a 100% hypoallergenic dog, you can buy puppies right here at Petland that produce small amounts of dander. These dogs don’t shed much. Poodles, Schnauzers, and Maltese dogs are favorites with people who have allergies. Are you finally ready to provide a loving home for a new puppy? If you’ve answered “yes” to these questions, then you have come to the right place. 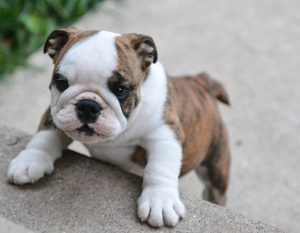 We are here to answer your question “where are puppies sale near me?”. Whether you’re searching for yourself or for a family member or even a friend, we can help. No matter if you are unclear about which breed you want to purchase, you can get help from our site. We have listed each breed here in a single platform. You can take a look at all of our available puppies by clicking here. This is a sample of some of the dogs we have, so the next time you’re thinking “where are puppies near me” you’ll have specific breeds and pictures in mind! When you purchase one of our puppies, you’ll have peace of mind knowing that we take the utmost care of our puppies. We pride ourselves on ensuring each animal gets the best care. Before coming to our stores, each pup receives a health check to make sure they are feeling their best. They are vaccinated and dewormed and certified healthy. Now that you have an answer for “where are puppies near me” come into our store to play with a pup and purchase one! We know that not everyone has the exact amount of money to make this life-changing experience. At Petland, we offer financing on all our of our puppies. That’s right! Applying and getting approved is fast and easy! You can use the funds to pay for your new pet and for essential items that you’ll both need to create a comfortable new home. If you have any questions, feel free to contact us for assistance. We are here to answer all of your questions! Are you looking for Miniature Goldendoodles? 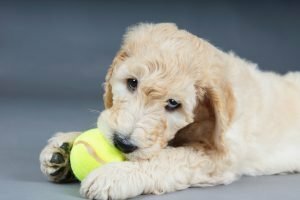 If you have been asking whether the miniature Goldendoodle is the right breed for you, look no further. We have miniature Goldendoodles for sale here at Petland Kennesaw. We also have knowledgeable pet counselors who can answer all of your questions. Here are some facts that will help you decide if they are the right breed for you! The Goldendoodle will not be a linty nightmare for you or your family! They have very minimal shedding. In fact, they are hypoallergenic. This means people with allergies can bring home one of our miniature Goldendoodles for sale home. They are highly recommended for families with sensitivity to the dander in dogs. No need to buy those shedding tools and lint brushes with these beauties. Have you been staring at the miniature Goldendoodles for sale sign worrying if you can handle a new puppy in your home? Have you been questioning if they are the right breed for you and your lifestyle? Well, no worries! Goldendoodles are low maintenance. We’ve mentioned that they are low shedding, but we didn’t say that their hair rarely tangles or suffers from matting. Blending Golden Retrievers and Poodles produces one highly intelligent dog! Since both breeds on their own are brilliant, the outcome is sure to be the same. Because of their intelligence, they are easy to train. Whether you’re housebreaking them or teaching them obedience, they will comply. You won’t be forced to repeat your commands, and you and your pup will enjoy training sessions. Our miniature Goldendoodles for sale are raised in a social environment, and they naturally have friendly temperaments. They are perfect for families with kids and seniors. They are incredibly affectionate and playful. Our mini Goldendoodles for sale will surely give you what you want with easy upkeep and maintenance, no stress, good company and lots of fun in your house. They are extremely intelligent, having been mixed with two intelligent breeds, this is expected. Both breeds are affectionate and make excellent family dogs, so it’s no surprise that the mini Goldendoodle puppy would have these same endearing traits! Surely the thick and beautiful mane of Shiba Inu puppies for sale is only part of the reason you were drawn to them. Of course, their foxy facial features is another! It’s likely that you’ll need some assistance handling their hair. We’ve got the assistance you need in this blog post. Shiba Inus are double-coated dogs and shed every day, but they shed quite heavily twice a year, typically during the spring and fall. They will shed their entire undercoat, which lasts a few weeks. Keep your vacuums nearby, lint brushes handy, and dust cloths in-stock! Their undercoats are light and fluffy and will fly all over the place including your coffee tables, clothing, and silverware. Nothing is off limits! How often should they be groomed? During the spring and fall shedding seasons when they “blow” their coats, they will need to be groomed at least twice a week. During the off-shedding times, Shibas need to be brushed at least twice a month. What a big difference, right? If they are not regularly brushed, nothing terrible will happen to your pup. Her hair will just naturally fall off, and you’ll have hair everywhere! One other thing of importance is that you should groom your Shiba Inu more frequently during the summer season or if you live in warm climates. This will ensure that your pup doesn’t overheat. How should they be groomed? They should be groomed gently! We must reiterate that point because Shibas tend to be sensitive to the slightest bit of pain! When you purchase Shiba Inu puppies for sale, grab the Furminator as well. It’s an excellent tool for capturing loose hairs. How often should they be bathed, if necessary? Ideally, you should bathe your Shiba Inu twice the usual number of times during shedding seasons. All of the extra hairs contain more of your pup’s dead skin cells and debris. 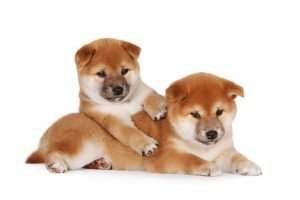 Are Shiba Inu puppies for sale hypoallergenic? Though no dog is technically 100% hypoallergenic, there are indeed dogs that are less likely to affect persons with allergies. Shiba Inu puppies for sale are not for those people! As we’ve mentioned many times, they shed a lot, and they produce a lot of dander, which is the allergen. We hope that this has been helpful for you and your pup! Should you have any other questions regarding our Shiba Inu puppies for sale or shedding tools, feel free to contact one of our knowledgeable pet counselors today! Just one of the great things about Petland is that we have a wide variety of puppy breeds. We even have teacup puppies, too! What does “teacup” mean anyway? It means different things to different people; however, it seems that the term is misused often. For instance, some people use the word to advertise a specific type of dog. You’ve undoubtedly seen the term teacup Yorkie or teacup Chihuahua. However, it’s important to note that there are no actual breeds that use the word teacup in their official breed name. Teacup refers to their uniquely small size and yes it means that they’re small enough to fit into a teacup! Here at Petland, we consider ourselves to be in the education business. “Education in what?” you ask. We are educated in all things pet-related! We have pet counselors onsite to assist our customers! They receive ongoing training and are passionately knowledgeable. For instance, when you purchase one of our teacup puppies our pet counselors will be available to help you select the appropriate food and give you tips on feeding instructions. There will be a ton of things you’ll have questions about, and that’s okay! Here’s what’s most important. First, you want to make sure that your teacup puppy has a high-quality diet. It should be one that’s rich in fiber. Purchase canned or dry foods that contain ingredients like eggs, chicken, fruits, veggies, and omega 3 fatty acids. Teacup puppies are susceptible to low blood sugar, so Karo syrup should be an ingredient in their food. Make sure your teacup puppies get sufficient rest. They play a lot and tend to feel very tired after activity. Provide a comfortable bed for your teacup puppy. After playing with your puppy, place her in the bed and leave her alone to rest for a few hours! She needs it. Teacup puppies actually need about 14 hours of sleep each day! 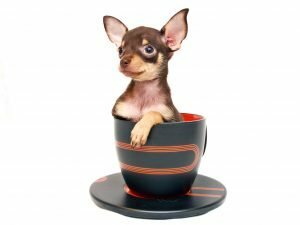 While many people who are searching for teacups are thrilled when they find the pup of their dreams, it’s important to consider if you want to shoulder the responsibility. Puppies, in many ways, are like infants, with teacup puppies being the smallest among them. So, think about everything carefully before picking out teacup puppies! Corgis are probably best known for being royal pups! That’s because they were beloved by Queen Elizabeth II of England. Certainly, the love for Corgis extend beyond her highness, but we believe that Corgis for sale hold their popularity in part because of the historical association with the Queen. There are two distinct types of Corgis. There’s the Pembroke Welsh Corgi and the Cardigan Welsh Corgi. It was not, however, until 1935 that the American Kennel Club recognized them as two separate breeds. Although they’re both similar, there are some differences between the two Corgis for sale. Although Corgis weren’t officially recognized as a specific breed until the 1920s, there is an extended historical context for the Cardigan Welsh Corgi which dates back as far as 1200 B.C. After being brought to Cardiganshire, Wales they were used to herd or drive cattle. According to AKC breed standards, Cardigan Welsh Corgis have coats that are red, brindle, sable, black, black and tan, or blue merle. White markings are acceptable, but there shouldn’t be any predominantly white Corgis for sale or in existence. They weigh 25 to 38 pounds and measure 10 1/2 inches to 12 1/2 inches. Pembroke Welsh Corgis are considered to be a newer breed of Corgis for sale. Their ancestry was from France in 1107. They have bobbed tails, some of which occurs naturally. In other cases, they are docked. Their average weights are 28 to 30 pounds. They are 10 and 12 inches small to the shoulder. AKC coat standards for Pembroke Welsh Corgis are black and tan, red, fawn or sable. Like their Cardigans, their white markings are acceptable but should not be dominant. 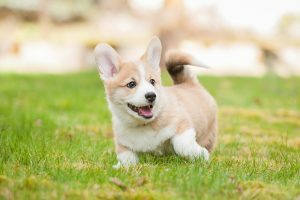 The biggest and most noticeable difference between the two types of Corgis for sale is that the Cardigan has a long tail and the Pembroke has a bobbed tail. Also, the Pembroke tends to be somewhat smaller than Cardigans. Cardigans have larger and rounder ear tips. It doesn’t matter which Corgis for sale you bring to your home because they both make excellent pets. They are comical and brilliant. They are also littler herders! They will undoubtedly try to herd little children in their families by nipping at their heels! Both types shed considerably all-year-round. Overall they are well-rounded small dogs! 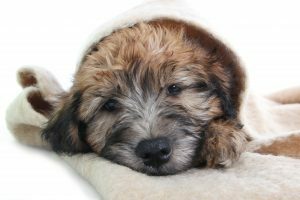 Much has been written about Poodles and Yorkies and Labradors, but have you read about Soft Coated Wheaten Terriers? They aren’t one of the most popular dogs, but they are indeed a fantastic family addition and can be a great companion to children. Continue reading to learn more about these terrific Terriers. The Wheaten Terrier for sale made its first appearance in the United States in the 1940’s by Lydia Vogel in Massachusetts. Before they became the larger size that they are currently, early terriers in Ireland were small, farm dogs that alerted the farmers of strangers. The Irish Kennel Club recognized the dogs as a breed in 1937. They captured vermin such as mice and hunted badgers and foxes for farmers. The American Kennel Club (AKC) recognized the Soft Coated Wheaten Terrier in 1973. It currently ranks 59th among the breeds registered by AKC. Wheaten Terriers have hair that is different from most terriers. It is soft and silky and curly. They are very gentle and get along well with kids of all ages and can join a home with other pets. Like most terriers, your Wheaten Terrier for sale will be a little stubborn! Their signature coat is colored beige, but they don’t reach that full color until adulthood. Before reaching maturity, they can be in a variety of colors. A Soft Coated Wheaten Terrier for sale became a national diving dog champion! The dog named Krista jumped over 10 feet into the water, earning her 1st place against Retrievers who are notoriously skilled divers. We love Wheaten Terriers! They are full of personality and excellent home companions. If you’re interested in learning more, contact us today! Find Your Yorkies at Petland Kennesaw! Yorkie puppies are the ultimate purse pooch because they are tiny, charming, and intelligent. They are hailing as one of the most popular toy breeds of dogs! Don’t mistake them for meek little dogs, though! 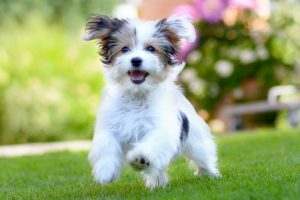 Yorkies for sale may have a small stature, but they have larger than life personalities which makes them the perfect pet companions in homes around the world. Speaking of their tiny bodies, does it come as a surprise that they “suffer” from small dog syndrome? It sounds serious and technical but it ultimately just means that Yorkies for sale think that they’re bigger than they are. We mentioned that they have larger than life personalities, so they believe they have the bodies to match! These little ones sometimes tend to be bossy. As a result of their bossiness, they make good guard dogs. We’d say “great” if they could actually do more than bark at burglars! At least they’ll let you know if any intruders (or houseguests) arrive. In all seriousness, because they can be a little aggressive, we suggest that they are socialized at an early age. They should be introduced to various situations, people, and pets. Yorkies were initially bred to be exterminators in the mid-1800s. They were used to hunt badgers, rats in mines, and foxes underground for clothing mills. This breed originated from Yorkshire, England. There’s a little murkiness surrounded by their history. There are conflicting reports that Yorkies for sale were founded by three other breeds that were brought from Scotland into England. A Yorkie named Sylvia held the record of smallest dog. She weighed a mere 4 ounces, stood only 2.5 inches tall, and was 3.5 inches long. Sylvia lived for 2 years and died shortly after her second birthday, in 1945. 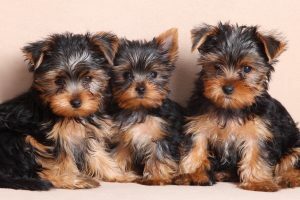 Yorkies for sale that are commonly used in making designer crossbreed dogs. Some hybrid breeds include: Yorkiepoos (Yorkie and Poodle), the Morkie (Yorkie and Maltese), the Chorkie (Chihuahua and Yorkie) and the Corkie (Cocker Spaniel and Yorkie). You’ll find some Yorkies for sale that are pretty tiny because some breeders are producing puppies at rapid and unsafe rates. As a result, they tend to have very fragile bones. Contact us directly for your Yorkie questions, as our breeders are safe, respectable, and reputable.